Crane Lifting Chain Set. Authentic Liebherr Yellow. 1:48th. Made in the USA. 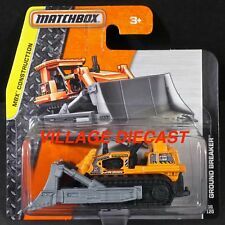 #39513 CAT 980K Wheel Loader1:94 scale. #39514 CAT 777G Dump Truck1:98 scale. Made of diecast w/ plastic detail by Toy State. Lot of 2 Construction Vehicles. You are buying a new HO 1:87 First Gear # 80-0317 International TD-25 Crawler w/Side Boom. THESE UNITS HAVE SMALL PARTS AND ARE FRAGILE. I WORK WITH ALL……. I BELIEVE THIS IS THE 1:16 SIZE. International TD-25 Crawler with Side Boom. Functioning side boom with swing cables. 1/87 scale made by First Gear. Vintage 1960s Tonka Mound,Minn Metal Toy Shovel Excavator Crane in Excelente. 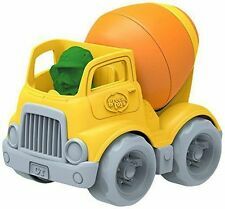 A25G Dump Truck. L60H Wheel Loader. Machine Shed. 1:64th Scale! Rare! Vintage Clark Lima diecast construction backhoe excavator 2505 NR147 NZG. The Clark equipment backhoe is in excellent condition, the box has some flaws as shown in the pictures. Condition is Used. Shipped with USPS Priority Mail. Please check out the pictures they are part of the description. I will leave feedback once it is left for me. The model is in good condition, as shown. I don't think many of these were made! TOY IS IN MINT CONDITION IN ORIGINAL BOX. BOX HAS FAIR AMOUNT OF SHELF WEAR AS SEEN IN PICTURES, 1/50TH SCALE. MAN Marine Engine Load (Crane Load). Grove Crane Model NZG #152 West Germany 1:55 Scale. Read. Motorcycle with steered front fork, spring-loaded swinging fork and folding side stand. so we can combine your order for you! Tonka Vintage Crane With Tracks Crane Works Good Excellent Condition VERY RARE! This is an IH S Series Service Truck. It looks like an S1900. It was made by First Gear and is in 1:25 scale. This is a VERY NICE model. It is in Excellent shape and isnew in a sealed box. It has not been opened. Will fit CAT 365 or similar model in 1/50 scale. Material:Resin Scale: 1:50. Condition: New - needs painted color of your choice. Models - Keystone Models Mfg - Norscot - Norev - NZG - OHS - Overland - Sherwood - Shinsei - Sword - Tonkin - Truck Miniatures - TWH - Warner & Swasey - WSI Collectibles. Greenligh Model Number: 12963. Diecast Scale 1:18. If you inquire, we will gladly assist you. Limited to six models per box. Limited to 48 models per box. If not, we sure hope you gives us chance to prove ourselves to you. 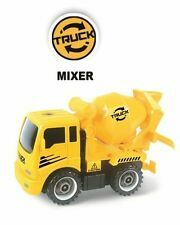 NEW Bruder Volvo A60H Hauler Toy Truck # 02455. Young hauler driv ers can load and unload the genuine, enormous tipping trough. Dealers, Warranty. Balloon tyres. Preiser #1102 Krupp 35 ton crane, FAUN Chassis. Complete kit. 1/87th scale. Preiser #1102 Krupp 35 ton crane, FAUN Chassis. Complete kit from my personal collection. Part Number: 6988104. Model: CT235 Compact Tractor. 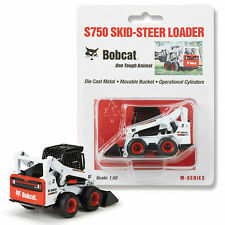 OEM: Bobcat. Manufacturer: Clover. Model Type: Diecast. This powerful vehicle with striking Power Wagon design has now been added to the BRUDER range. Just like the real thing, the toy features a crew cab with four doors. In this context, the front axle can be steered using the included steering wheel extension. Model 4700 SF Dump Truck. DIECAST MASTERS. Tractor moves forward and reverse left and right, bucket moves up and down, front and down as well. top to bottom: 9.5". front to back: 21". takes 4 D batteries. CAT 793C Off-Highway Dump Truck. Mfg by:NZG Serial #403. Material: Diecast Scale: 1/50. 14 years of age. WINNER WILL RECEIVE ITEM(S) PICTURED. 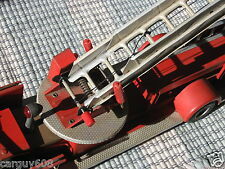 1/87 scale marked clearly on heavy duty box, highest quality associated with WSI models. 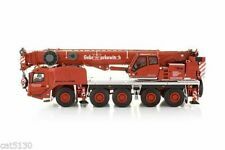 WSI 08-1113 Liebherr LTM 1750 - 9.1 Truck Mounted Crane 1/87. • Crane operators cab swings out into working position. This Kit is still in its original,sealed box and includes 267 pieces with instructions. It has replicated features and movable parts as the actual machine. Not suitabe for children under the age of 14 years. The model is new in the box, great collector's item! The crane looks new the box has few scratches Selling my collection of diecast if any questions feel free to email. will not shipped Australia or Thailand. Tigercat 870C Feller Buncher. Material: Diecast. Height: 6 1/2". Length: 12". Models - Keystone Models Mfg - Norscot - Norev - NZG - OHS - Overland - Sherwood - Shinsei - Sword - Tonkin - Truck Miniatures - TWH - Warner & Swasey - WSI Collectibles. Scale: 1:50Item No. YC520-2 (worn). Top quality associated with Iconic Models and superb paint, excellent unopened new in box. Great scene-builder for trucking or display. CAT 528B Log Skidder. Mfg by:NZG Serial #220. Material: Diecast Scale: 1/50. WINNER WILL RECEIVE ITEM(S) PICTURED. 14 years of age. 1/87 CAT 854G Wheeled Loader. " Our Cat 854G continues the tradition of legendary models from CCM. This is an incredible detailed brass model. It does not include a box. The D250E Series II is in new condition and has only been removed from the box for pictures. The box on the D250E is in great condition and the M318 box is in fair condition with significant shelf wear. 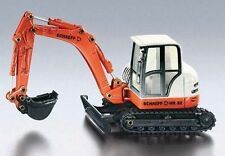 This is a detailed diecast XCMG GR215 Motor Grader. The model is new in the box. The model steers, articulates, doors and hood open. Hard to find model in the USA! This is an authorized reproduction of the progressive link thumb kit made by MKDco in the early 2000’s. However your imagination is the limit for what it can be fit to. includes brass pins, cut to appropriate lengths. Atlas Copco. Item new in box. This is a Kenworth T700 Tractor. It was made by Tonkin and is in 1:50 scale. This is a nice model. It is in Excellent shape and has been kept in the box. Yes the mirrors are in the box. I will have many other Diecast Construction Models listed in the next few weeks. 1960'S NYLINT # 4200 BULLDOZER NR MINT UNPLAYED WITH IN ORIGINAL BOX !! ITHE ONLY THING KEEPING THIS DOZER FROM BEING PURE MINT IS A BLOTCH ON LOWER EDGE OF BLADE. THE PAINT IS RICH AS EVER AND DECALS ARE MINT. THE DOZER HAS BEEN KEPT IN BOX SO THERE IS NO FADING. DOZER BOX HAS LOSS.